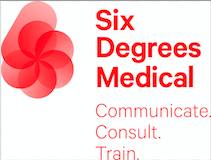 Six Degrees Medical is a leader in global medical communications. For over a decade, they have helped clients optimize their brand, disease and corporate objectives. Building client relationships that last, they bring intuitive strategy, tactical innovation and executional excellence to every project.